Book included inside the course! He was the father of science fiction in the English language. H.G. Wells had ideas unlike any writer before him. His first great novel, The Time Machine, written in 1895, asked questions no writer had ever asked – if we could travel in time, when would we go? And what would we find there? What is mankind's future, and can we change it today? Here's a complete guide that will help your student, ages 9-adult, understand the first great English language science fiction novel, as few readers ever do. 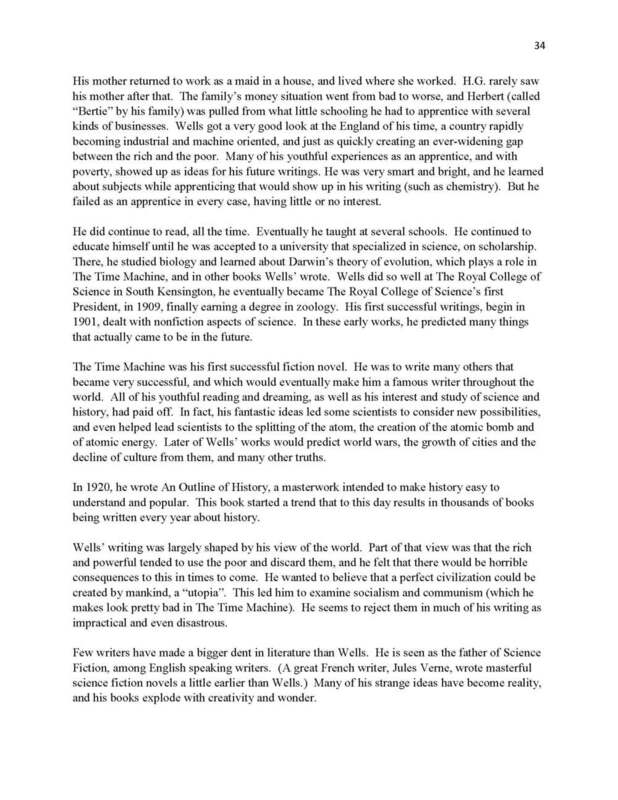 The history of the period of time is explained, so that the student understands why Wells wrote as he did, and what he was trying to say to his readers about their time (and ours). 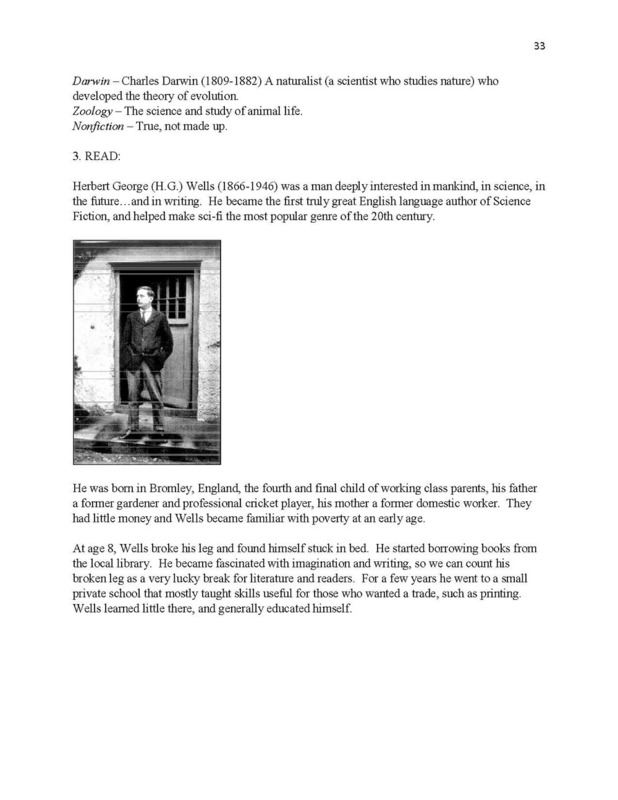 Wells' personal history is also explored, and the student relates what he's learned about the writer's life to the stories, and how Wells own experience (as a scientist and historian) helped him to create his great works. The history of his books, their publishing success, is considered. Important tools of writing are explored and explained, such as the message of a piece (the idea the author wishes to communicate), plotting, characterization, conflict, language, irony, and the use of surrogate characters representing the author and his views. The student then uses his knowledge of the tools of good story-telling to analyze and understand the story. No additional materials are needed. 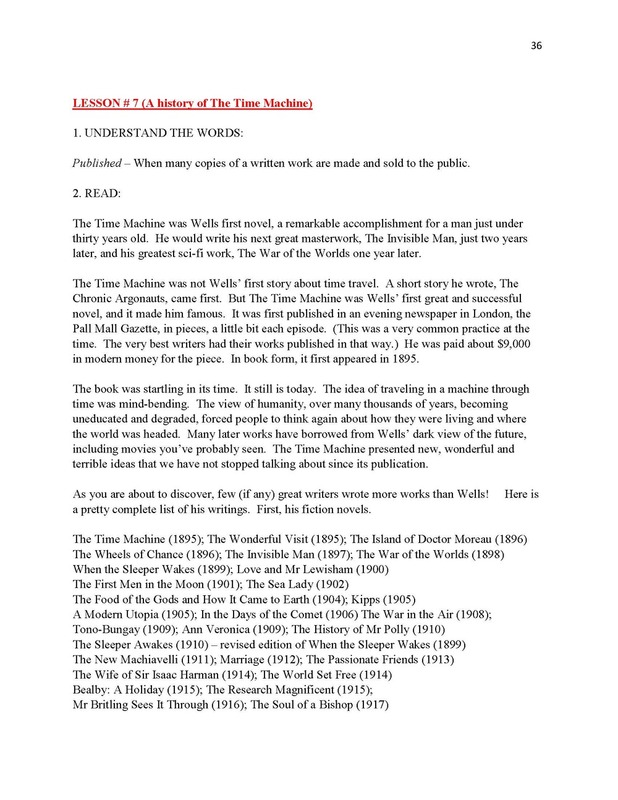 The entire text for this short novel is contained in the course. Before reading each chapter, the student looks though the simple, single definition that applies, for every key or difficult word used in that chapter. This will allow the student to understand what he reads the first time he reads it. ( WARNING – This course does require and develop some serious literacy. ) Locations mentioned in each chapter are also listed before the reading starts, and they are located by the student on maps or globes. In this way, the student will know where those places are in the world when encountering them in the story. After each chapter, the student is provided numerous exercises which demand cognitive and critical thinking on the student's part. The exercises help make the story more relevant to the student, and increase his understanding of the story and its unique values. We provide links to film and/or other presentations of the pieces being studied! 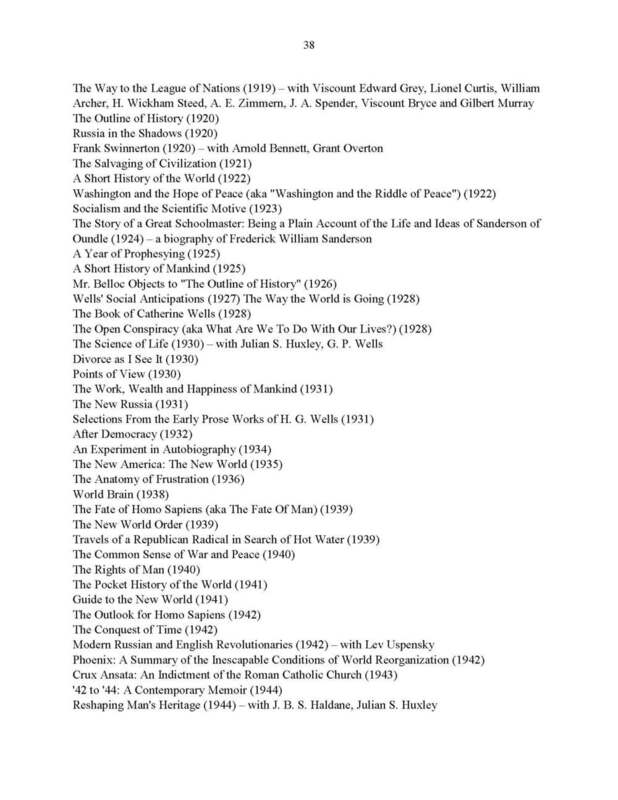 This is a complete study guide, one that will bring the past and future to life as only H.G. Wells could have imagined it! Science fiction is the most popular genre of literature today. Wells made that possible. Discover this master's first great work!